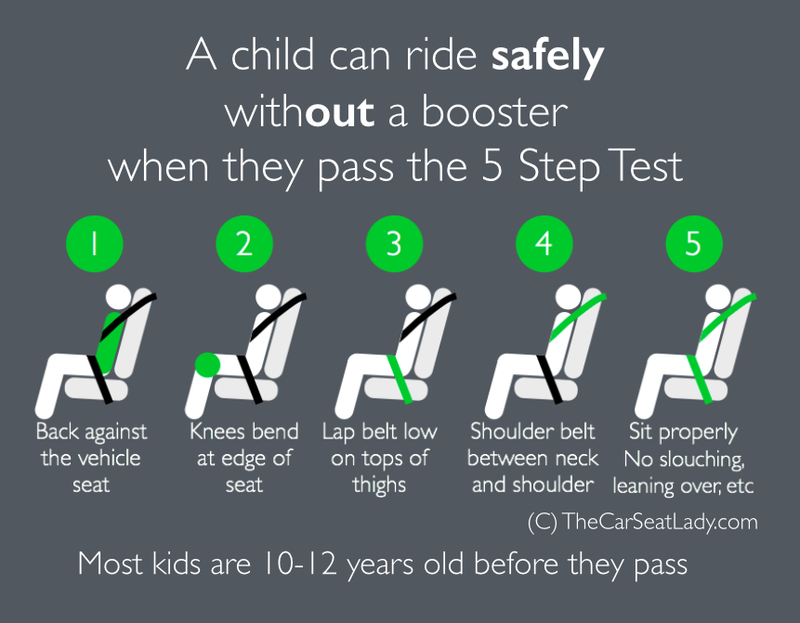 A booster is a belt positioning device – the booster’s entire job is to make sure the seat belt stays on the proper parts of the child’s body. 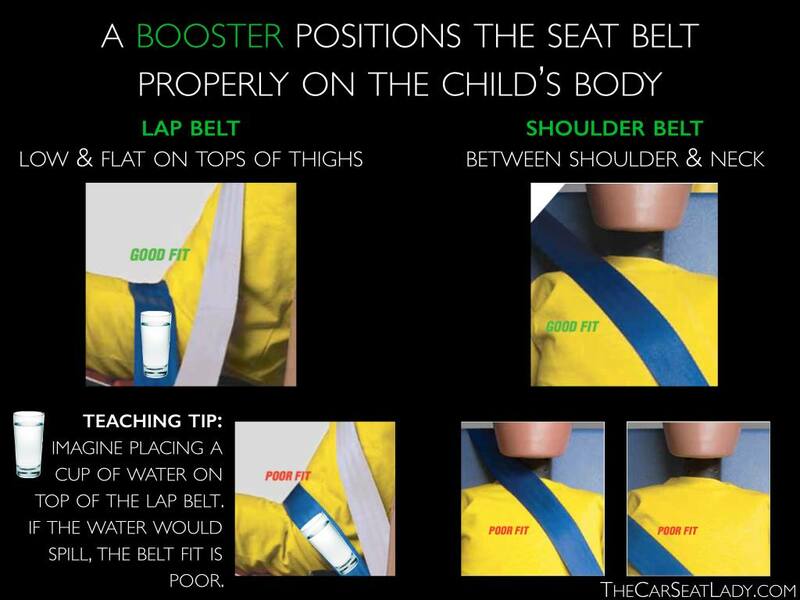 The lap belt needs to be low and flat on the tops of the thighs, so that in a crash the forces are applied to the strong hip bones, and not the soft, vulnerable abdomen. It is the lap belt, when not properly positioned, that leads to life-altering injuries including those to the spinal cord and abdominal organs. The shoulder belt needs to be across the chest and rest between the neck and the shoulder. A shoulder belt that rubs the neck is not dangerous, but a shoulder belt that is off the shoulder and on the side of the arm is dangerous.